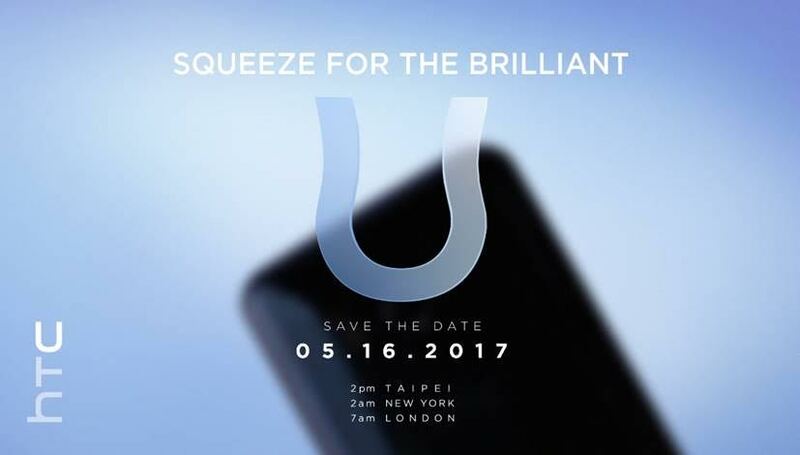 Just yesterday we covered news of the HTC U. Today we’re getting details on a launch on May 16th for this particular handset, and a tagline suggesting that it’ll be “squeezable”. Leaked details suggest that the frame will be touch-sensitive so you can gently squeeze it to perform actions. Specs we’ve seen include a 5.5″ QHD display, a Snapdragon 835 SoC CPU, 4GB of RAM and 64GB storage. There’s a rear 12 megapixel camera and 3000mAh battery. I had some time with both of the existing HTC handsets during Mobile World Congress. The HTC U Play and HTC U Ultra are both very decent smartphones, but sadly there’s been no interest from any UK network, so you’ll need to head to Carphone Warehouse to get one or buy direct. The new HTC U really needs to pull the company back as devices like the LG G6, the Samsung Galaxy S8 and the new Huawei P10 continue to grab the limelight.